Career Day, Billinghurst Middle School, Reno, NV. 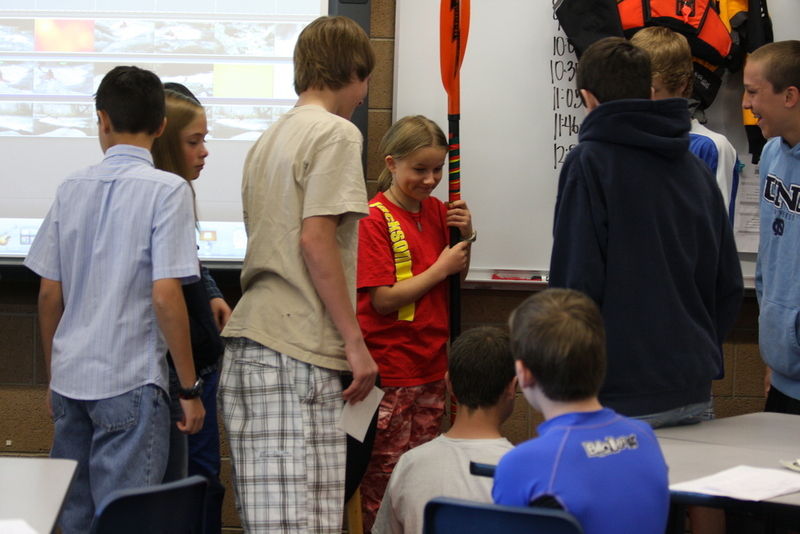 Last week I was invited back for a second year to speak to kids about different river careers at Billinghurst Middle School in Reno, NV. I open my presentation with a kayaking video, then put on an informational slideshow, and close it with another video of kayaking. I also like to ask trivia questions to make sure the kids are paying attention, and give out Jackson Kayak Promotional DVD’s for correct answers. It’s amazing how many kids remember how much a topped out Grand Canyon guide can make on a 16 day trip! After I pass out JK stickers, I invite everyone up to check out the boats and gear. I put on the same presentation 5 times to different groups of kids everytime, so I spoke to over 100 kids! I know I had fun and I hope all the kids did too.